Conductor Size: Up to 1000 Sq.mm. We feel immensely please to manufacture and trader an exclusive gamut of Heat Shrinkable Terminations. Heat-shrinkable terminations for indoor & outdoor applications for polymeric cables up to 33kV. Raychem’s heat-shrinkable terminations have a proven record of stability, durability and reliability over many years. Raychem’s cable accessories have been used by utilities and industrial companies. 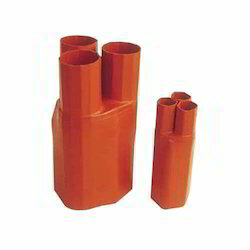 MULTISHRINK present our collection of heat shrinkable transition joints that are suitable for medium voltage to high voltage applications upto 36 KV. 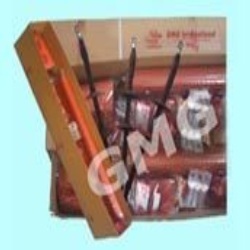 Our heat shrinkable products are designed keeping in mind the special requirements of our esteemed customers. These are supplied with all the tubing and interconnectivity components necessary to quickly and easily complete installations. SRS International Engg. & Co.